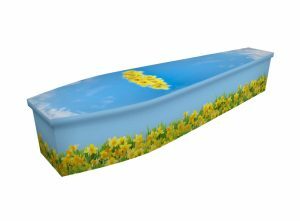 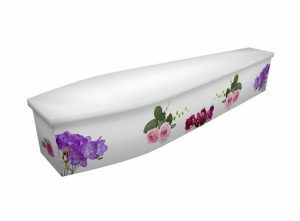 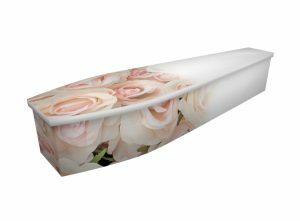 The timeless beauty of flowers is often drawn upon at funerals, so it’s unsurprising that many people request wooden coffins printed with flowers or floral designs. 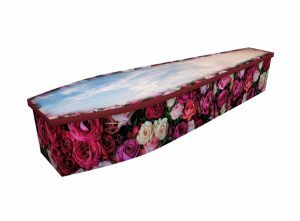 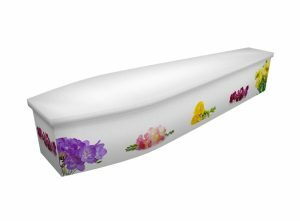 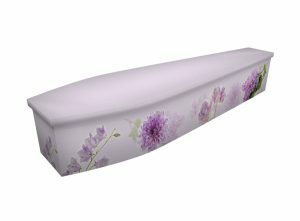 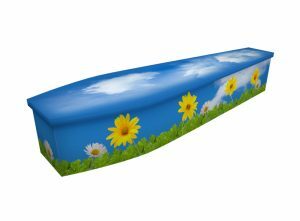 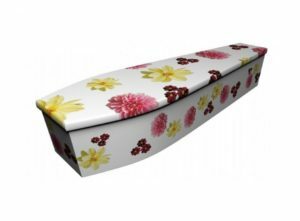 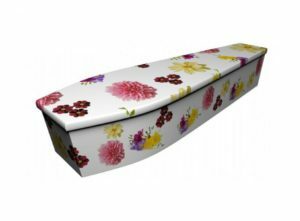 We can create a coffin themed on any type of flower or combination of flowers. Gardens, too, offer a wonderful theme for a bespoke printed wooden coffin, representing a wide variety of ideas in different cultures – from innocence and the soul, to change and renewal. 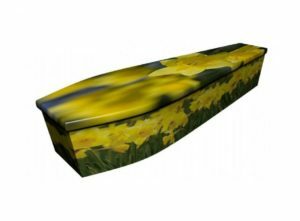 They are also simply beautiful in themselves, and many Britons have spent many happy hours gardening or simply enjoying their garden. 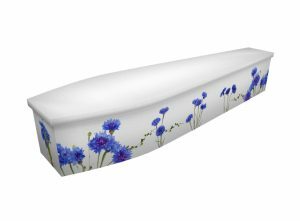 Browse some of our creations below for inspiration. As you can see, we’ve created autumnal designs based on fallen leaves; carpets of bluebells; roses; buttercups; daffodils; cornflowers; daisies and many other species of flower. Jonny and his dedicated creative team will be happy to create any design you have in mind, and work with you to turn your ideas into a final design. 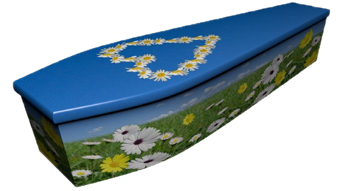 We’ll work towards sending you a visual proof – by email or post – within 24 hours. 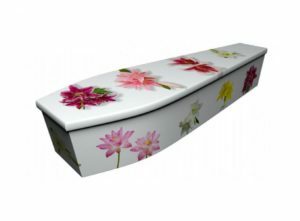 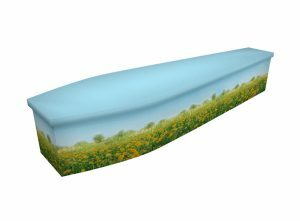 After you’ve agreed to the design, we can set about creating the coffin and have it delivered within 72 hours.